Sometimes my battle with deadlines makes me dread writing reviews, but I'm regularly pulled right out of that funk when I'm reminded of the fantastic products I get to try with my family! 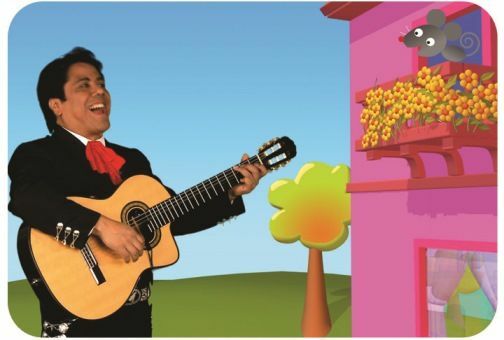 The latest product we get to review is the Educator's Spanish Collection from Whistlefritz. 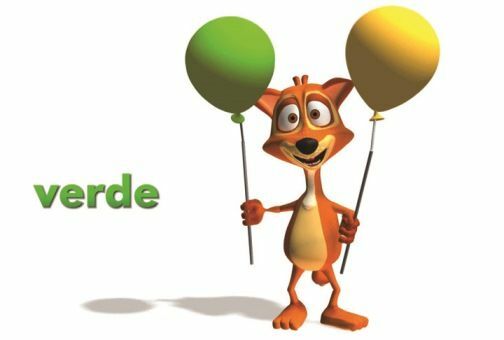 Whistlefritz produces Spanish and French Immersion Programs specifically designed for early elementary students. They have built their programs on the understanding that learning a new language is easiest at a young age and is most effective when they are immersed in it, much like we all learn our native language. With all of my children under the age of 7, this is a great program for them. 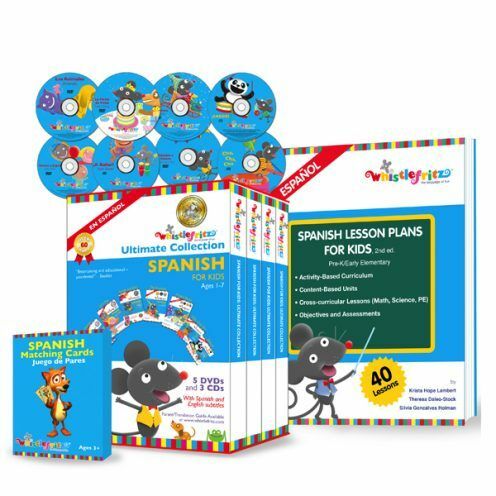 The Spanish Educator's Collection includes a teacher's manual of Spanish Lesson Plans for Kids, 5 DVDs, 3 CDs and Spanish Matching Cards. The manual contains 40 lessons that integrate all subjects into learning Spanish providing a reciprocal reinforcement relationship. Each lesson builds on the one before, but in most cases can be used alone, depending on the student's prior knowledge. The DVDs are full of engaging skits, music and dance covering all major topics that the Lesson Plans touch on like numbers, colors, seasons, etc. CDs are full of fun music that reinforces the language areas the others introduce. We love to use CDs in the car allowing the language to go with us even when we're not in the middle of a lesson. Finally, the Spanish Matching Cards provide just another way to interact with the language alone or with other students. They were combining coloring with numbers and colors in Spanish. As usual the kids loved the DVDs and asked to watch them over and over. Since they are entirely in Spanish, they really are beneficial for a student's grasp of the language. They correspond with particular lessons and are a great add on, but they do very well as a lesson all their own sometimes. On Whistlefritz's website you can download free lesson plans that correspond directly to the videos (not repeats of those in the book) if you would like to create lessons surrounding just the video. We were able to use all of these materials for 4-5 weeks so we went through various lessons that were a good match for both of the kids educational level. However, depending on the circumstance and needs, you could stretch this program out to an entire school year, coordinating all kinds of things with the Spanish topics from each lesson. It provides a wonderful base for Spanish vocabulary, but if spread over a school year would certainly spring board into even more! The lesson plans themselves are very easy to use and adapt to your needs. The objective is always very clear and everything you need is listed or explained. There are even several alternative or additional activities that make the entire program so versatile. The lessons plans are contained in a softbound book with corresponding printable material. One thing that I would love to see added is the consumable material available in pdf so that it would be more easily printed, rather than just copying from the thick book. We printed just fine for our lessons, but a pdf would enhance quality and convenience. The card game is a great anytime activity to pass time and reinforce vocabulary and my 3 year old especially loved getting those out. After spending some time with all of this material, I feel really confident in recommending this as a comprehensive language program that young kids will love!